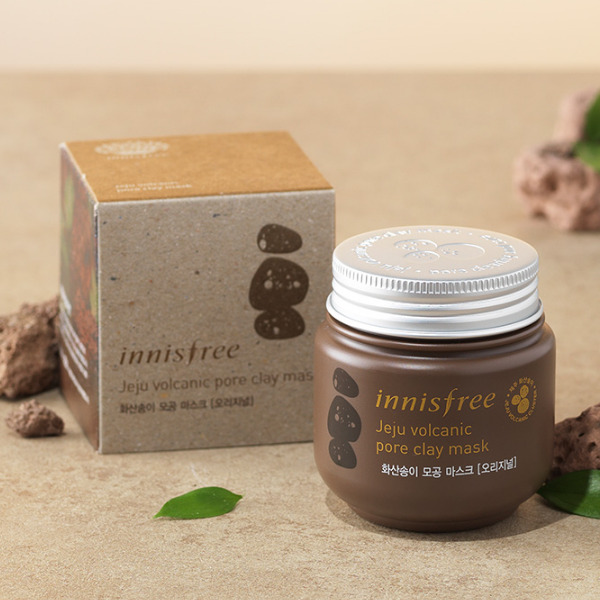 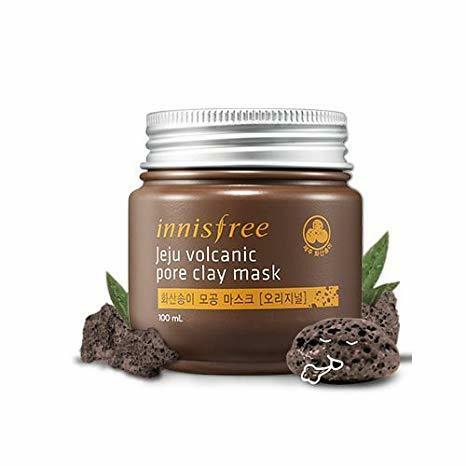 Innisfree Jeju Volcanic Pore Clay Mask is the original clay mask, and more of a 3 in 1 solution absorbing sebum, giving new fresh clear skin and treating pores and blemishes. 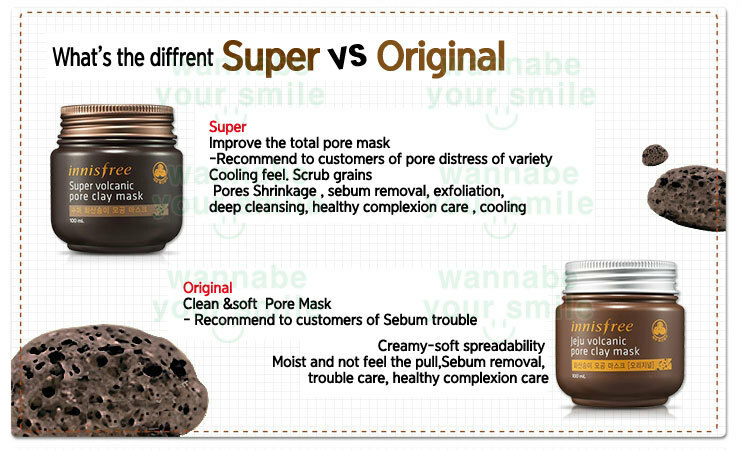 The product is deeply cleansing and exfoliates the skin removing dead skin cells. 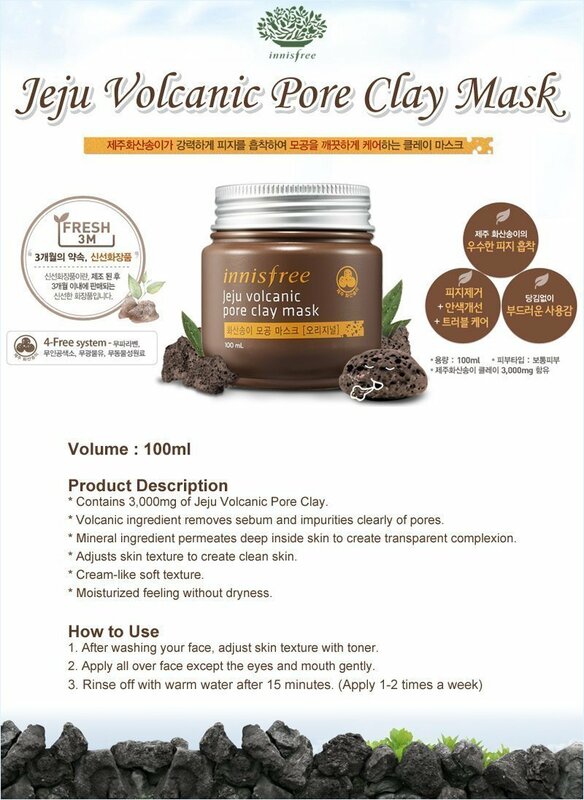 Apply after cleansing and toner, and leave the mask on your skin for 15 minutes. 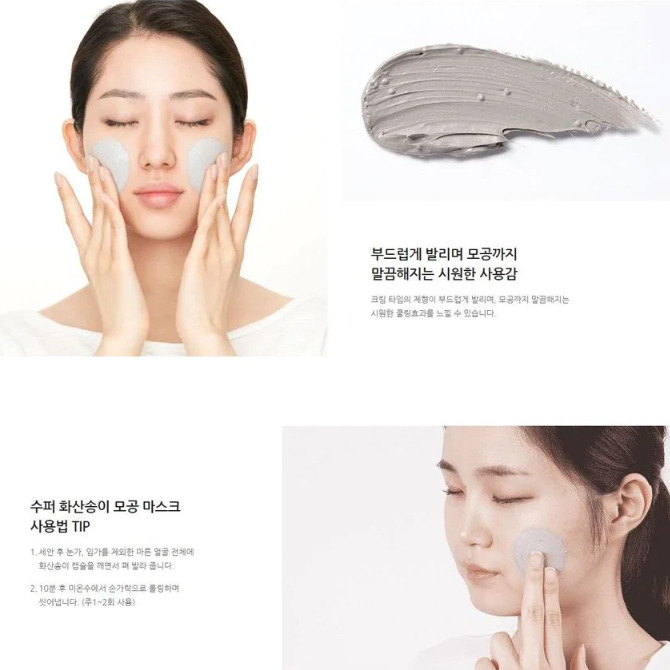 Rinse with lukewarm water. 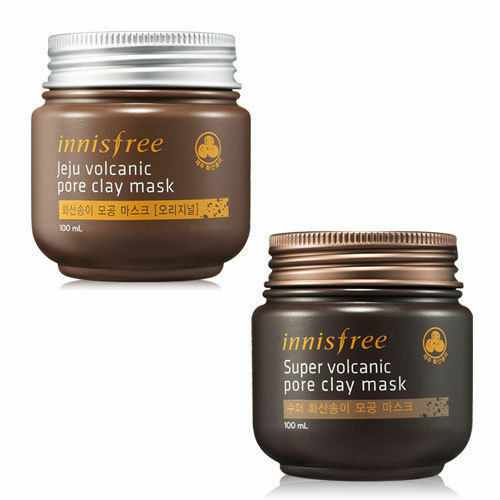 If you compare the two masks, Innisfree Jeju Volcanic Pore Clay Mask is best for sebum control.